After I wrote about the demo of the Dutch band De Keng, the lead singer, Aloys Oosterwijk, dug up some tapes with other recordings of this legendary quartet. Two studio demo’s, several concerts and two performances for radio shows. Although the sound quality of most tapes is rather lousy (some were broken), I liked to conserve all of it. It gives me a change have the change to play with my beloved Tascam 122 cassette recorder again! 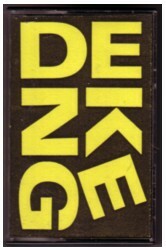 The result should be an MP3-CD with the complete recordings of De Keng. 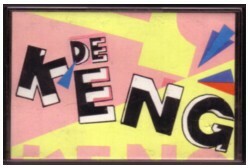 As a lover of wordplay I noticed that the name De Keng is an anagram of Gedenk, which is a Dutch word for memory-of-what-is-lost. For those who can’t wait is here a song from another demo, In het donker .